Did your Premier League, FA Cup & Six Nations predictions lead you to glory? Guaranteed Coupons: The usual £500 guarantee in our £2 Premier League Coupon was split into two lots of £250 between that and an FA Cup quarter-final pool, with just five Premier League games taking place. Hippodrome was the victor in the Premier League pool, scooping £105, with nine correct predictions out of 10. The difference maker came at Goodison Park, with Everton’s surprise 2-0 win against Chelsea scoring eight points as Banker. Other correct results included a draw between Bournemouth and Newcastle, a 2-1 win for Leicester at Burnley, West Ham’s 4-3 comeback victory over Huddersfield and Liverpool’s narrow win against Fulham. In the FA Cup pool, NickW17 picked up £112 in the guaranteed £2 game, with seven correct predictions, including the right result for all four quarter-final matches. They correctly predicted wins for Watford, Man City and Wolves, who scored six points as Banker for overcoming Man Utd. A last gasp equaliser by Brighton in their penalty shootout victory away to Millwall scored Nick a crucial three points that helped clinch first prize. Fantasy 5-A-Side pools: We also ran 5-A-Side pools for both the Premier League and FA Cup, with the £50 guarantee beaten in both £2 games. GrimReaper secured the £30 first prize in our Premier League pool, with Sadio Mane as Banker bagging 24 points, scoring in Liverpool’s 2-1 win at Fulham, and Chicharito adding 21 for his brace in West Ham’s stunning 4-3 win against Huddersfield. Daveb87 and Withnail160 both won £23 for finishing joint top in the FA Cup £2 Fantasy, with both players scoring 22 points for having Sergio Aguero as Banker, who netted Man City’s winner in their comeback win at Swansea. Both players also had Brighton’s Mat Ryan, who scored five points, and Gerard Deulofeu of Watford who added a further three. Match Pool round-up: Our weekend Match Pools got underway at Vicarage Road, as Watford beat Crystal Palace 2-1 to book a place at Wembley. Etienne Capoue’s first half equaliser was cancelled out by Michy Batshuayi but substitute Andre Gray sent the Hornets through to the semi-finals with his late winner. With £50 guaranteed in each £2 pool, jamietis won £30 for finishing top, thanks to predicting a Watford win and both keepers to make five or more saves. Man City kept their quadruple hopes alive with a stunning 3-2 win against Swansea, despite trailing 2-0 with 20 minutes to play. Bernardo Silva kickstarted City’s revival after Matt Grimes and Bersant Celina had put Swansea into a shock 2-0 lead, but Sergio Aguero’s deflected penalty and late winner sent City through. That meant Dodger won £33 in our Match Pool, after six spot on predictions, including a City win, five or more goals to be scored, Silva to net at anytime and Riyad Mahrez to be subbed in the second-half. Goals from Rahul Jimenez and Diego Jota stunned Man Utd as Wolves made it to their first semi-final since 1998 with a 2-1 victory. MattHeasman scooped the £35 first prize after Banking a home win and picking Jimenez to score. Jamietis also won our Millwall v Brighton pool to add another £33 to his total winnings, but needed a last gasp goal from Solly March to score the sixty points required for correctly predicting a draw. Two goals in the final two minutes by Brighton sent the game into extra-time and penalties, with the Premier League side eventually booking their spot in the last four. Cordy picked up £30 as Liverpool beat Fulham 2-1, with an away win and James Milner to score at anytime helping to secure victory, while Paulchaffey won the same amount as Everton beat Chelsea 2-0. That was thanks to Banking a home victory, and picking Gylfi Sigurdsson to score at anytime, who scored Everton’s second goal after Richarlison put them ahead early in the second-half. Six Nations pools: The final round of Six Nations fixtures didn’t disappoint, with Wales securing a third Grand Slam in 11 years, with a 25-7 victory over Ireland, thanks to Hadleigh Parkes’ early try. In our Match Pool, Paulchaffey won the £2 pool for Banking a Wales win and predicting the first points of the game to be scored by a Wales try. 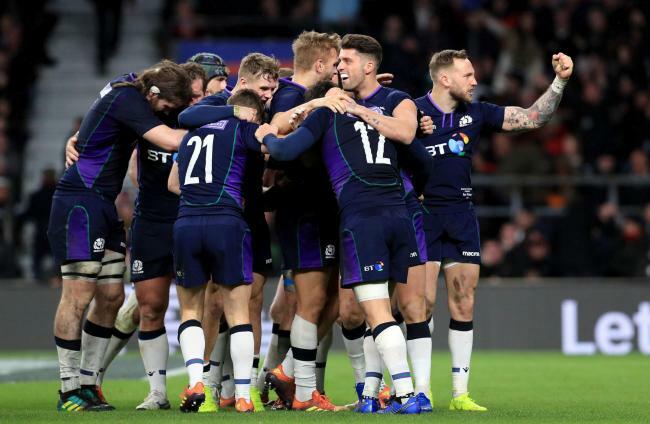 It was a thriller at Twickenham as England and Scotland played out a 38 all draw. England blew a 31-0 lead as Sam Johnson’s late try looked as if the Scots were about to complete a memorable comeback victory, but George Ford equalised right at the death. Withnail160 won £49 in our £2 and £10 pools, Banking a Scotland handicap win and picking Jonny May to score a try. MattHeasman picked up £30 in our £2 week five Predictor, securing a narrow three point win over paullovatt, who was the victor in the £10 game. Big money racing pools: Tristan Chaplin’s weekend got off to a flyer, as he scooped £500 in our day four Cheltenham Fantasy Pick 7 on Friday. Our £1,000 guaranteed pool was our biggest ever cash guarantee, which Tristan won thanks to Pentland Hills scoring 800 points as Banker in the first race, and Al Boum Photo adding 300 for winning the Gold Cup. In Saturday’s TV Races pool, marsden got their hands on £97 in our £1 game which paid out £278 to 31 winners. Although the international break takes centre stage this weekend with England in action on Friday, we’ve got some big cash to be won in our IPL pools starting on Saturday so stay tuned for your chance to win big.